Could This Be Why Germany Has Repatriated 583 Tons of Gold? 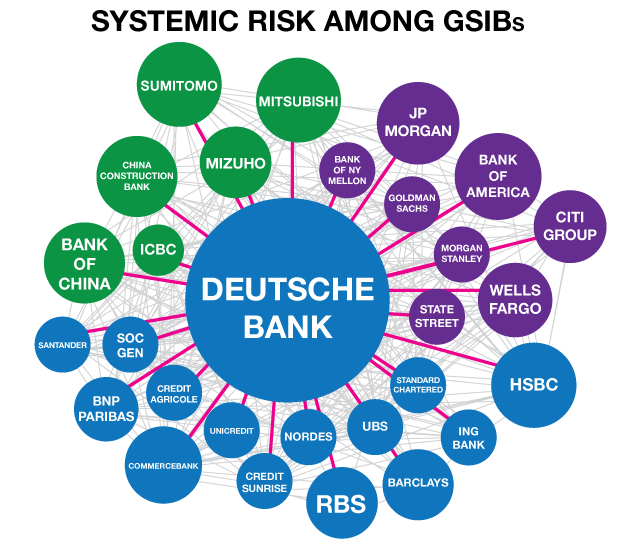 Deutsche Bank has been a global black swan for some time. Will it bring the global banking system down? All the more reason to have physical precious metals insurance in your hands. 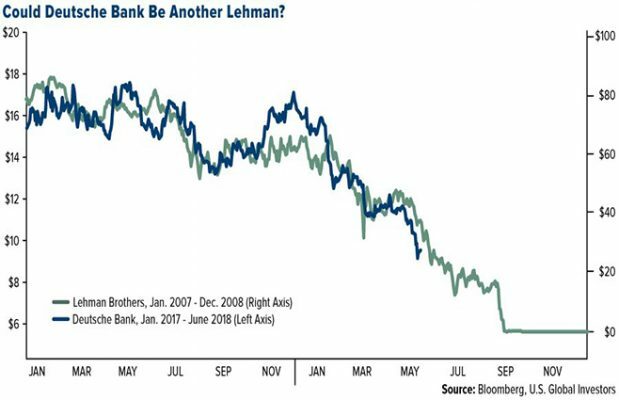 Not since Lehman, this could get extremely ugly! Deutsche Bank has almost triple those assets, $1.7 trillion, but its future is in question. The bank’s net income plummeted by 80 percent from its 2017 level. The Federal Reserve has labeled Deutsche Bank’s US operation as troubled. And that might be an understatement. That is the reason gold is looking like an excellent investment against any future financial ripple effect. Deutsche Bank is suffering from a lack of faith for a reason. Gold could put investors’ minds at ease.